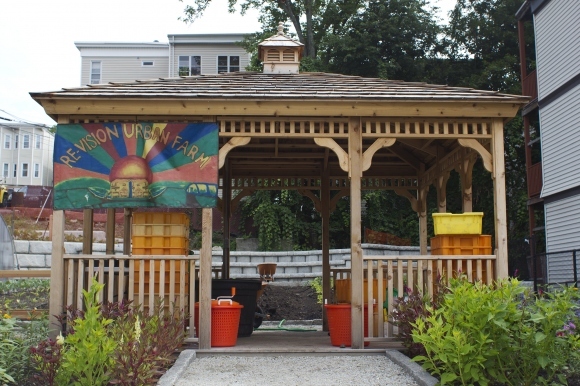 ReVision Urban Farm began as a small garden in 1990 alongside a shelter for homeless mothers that is now the ReVision Family Home. Originally called ReVision House, the program began as a very small grassroots effort to positively impact the lives of young homeless mothers and their children. 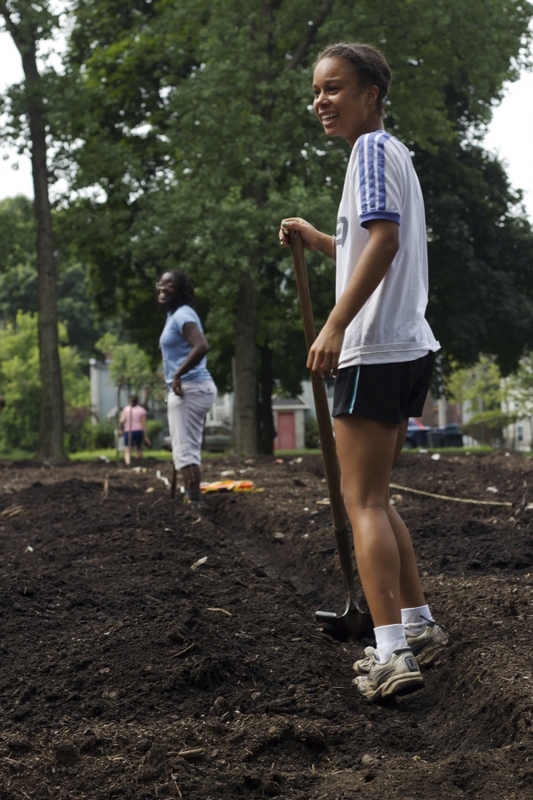 With the purchase of three abandoned lots across the street, a plot of land was reclaimed in the heart of Boston to become the ReVision Urban farm that is in operation today. When I visited the farm with fellow Food Warrior Rebecca Bilodeau, we were able to see one of the new plots of land where volunteers and farm staff were constructing raised beds and hard at work. 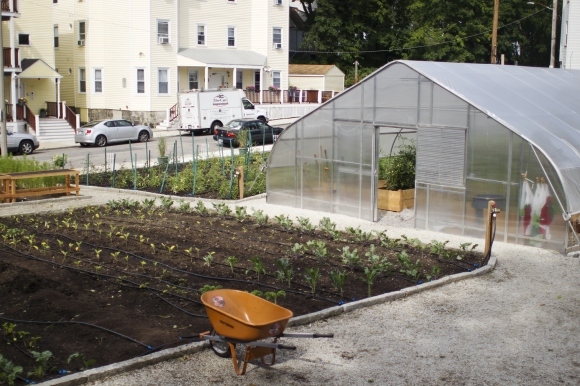 Revision’s greenhouse and one of its plots of land are nearby Blue Hill Avenue, one of the main streets that runs through the neighborhood of Dorchester. Volunteers working in the land. 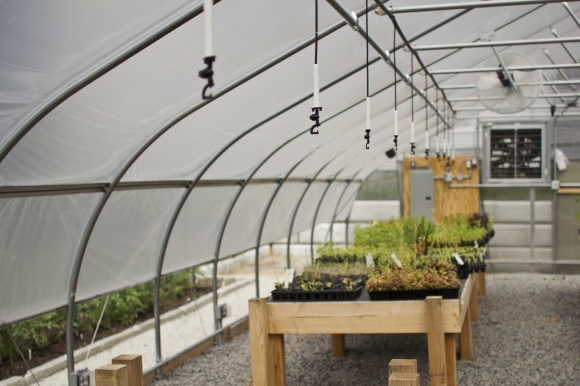 Inside the greenhouse, where seedlings and many other plants are grown. This entry was posted in Food Warrior Interns, On the Farm and tagged Boston, diana mai, farm photography, food warrior interns, Food Warrior Program, Real Time Farms, ReVision Urban Farm, urban farm. Bookmark the permalink.